into the true motivations behind his art. Hansi: Not too bad. This is our fourth time here and today is going to be cool – we will have a huge crowd and New York is always special. Tonight will be great. Hansi: Very successful! We only come every four years! The people are aware of that so they have a certain desperate need to get to the shows. The atmosphere is great everywhere. Before this we toured South America and that was intense! The shows here on the East Coast have been fabulous! That sense of exclusivity you get is awesome… where you trying to cultivate that? Hansi: I believe it’s important to give a little time to work on people. I believe in not over-saturating the market. 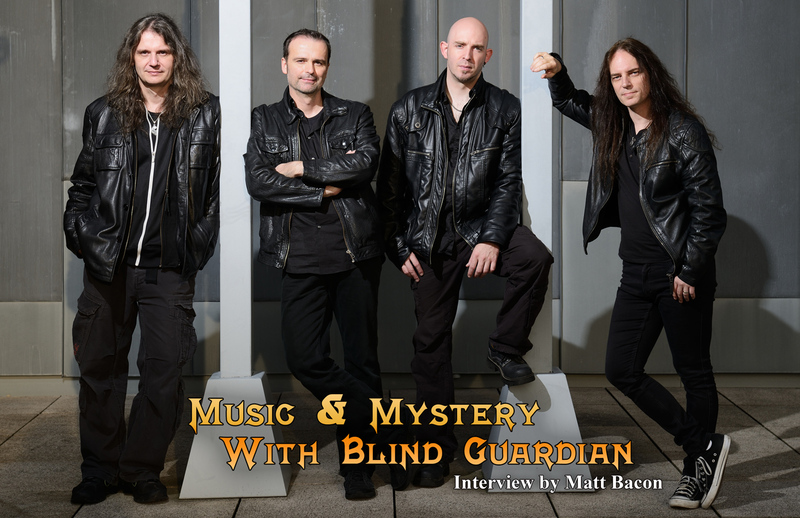 Four years is a little too long though – but that’s how long songwriting can take with Blind Guardian. That’s the way it is. That creates this big gap in between two touring periods which turned out to be beneficial to us. I would not mind being back in two and a half years or so. I don’t think we should tour hear every year, but four years is a little too long. And it’s surreal because I have a lot of friends who are really into power metal who have never seen you guys! Hansi: I don’t even think about that because in Europe there is no age limit on shows. You can go as soon as your parents allow you. I’m not aware that people have to turn 18 or 21 to attend a Blind Guardian show. There are people who have been getting into metal over the years who grew up with us and now it’s the moment. That’s a nice thing that I never have in mind. I only realize that when I read the Facebook messages and see 17 year olds who can’t come which is unfortunate. The good thing is that we still have these young fans. It would be a shame if there were no young people into metal. 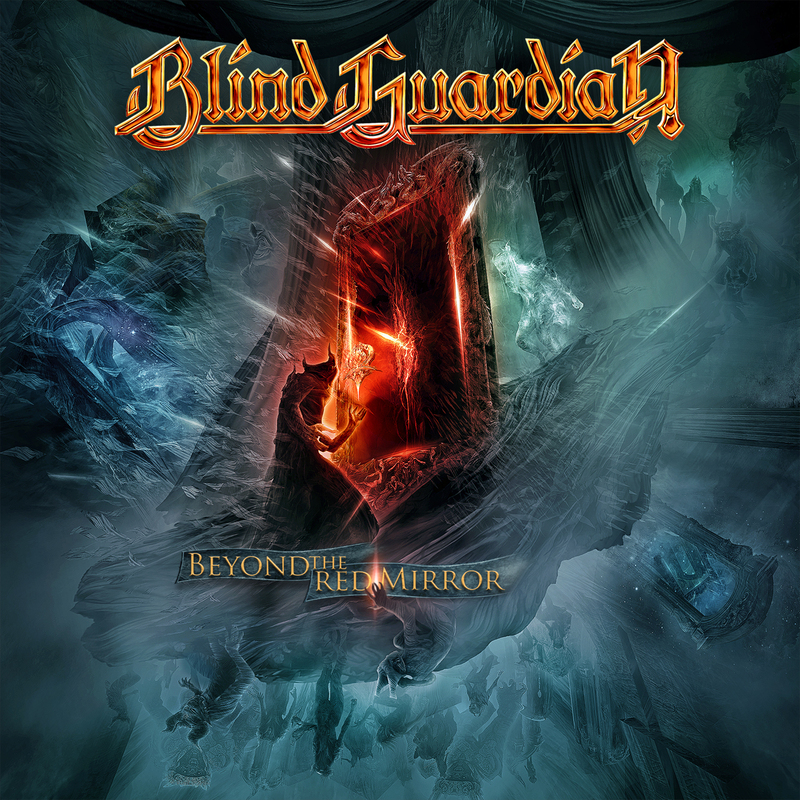 What do you think draws people to Blind Guardian? Hansi: I think it’s the intensity and the individual approach of the metal we are delivering. I think they like the melodies but also that we have the harshness which drives us away from other power metal bands. We are not pretending to be something. 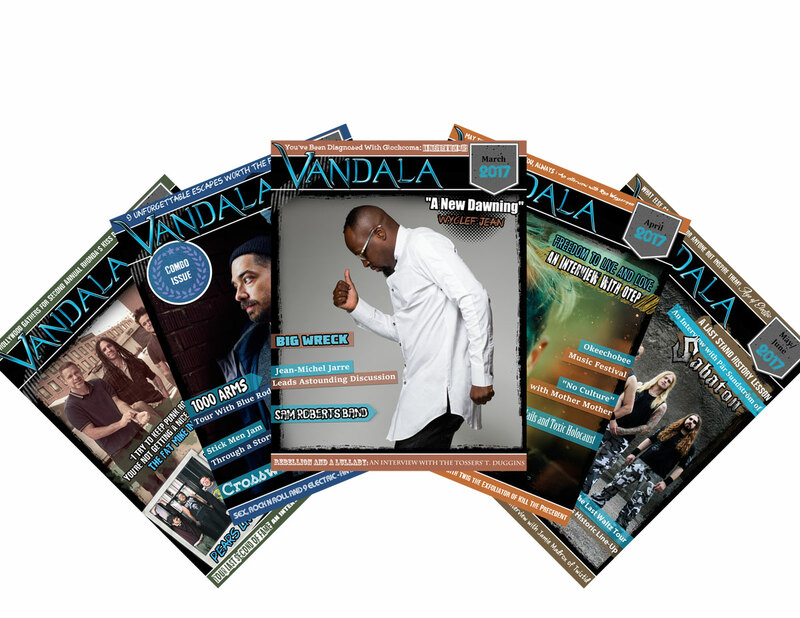 We mix in a lot of genres and have done that since the beginning. It’s also the fantasy spirit to the music but I don’t think this is as essential. Hansi: It’s just a feeling. I don’t know for sure. Some people probably look at it differently. When I relate to music an image occurs. If I just listen to the music Bind Guardian already evokes a fantasy image. It’s just through the creation of images. I was not as focused on the lyrical aspect of the band as the music itself. For many it might not be the same at first. I know a lot of people got in because of Tolkien though but we also got a lot of people into him. So what attracts you to fantasy? Hansi: I like interpretations and analogies. I can find that in many fantasy stories, especially the Tolkien stuff. If I want I can analyze it and get a lot of reality from it but on the other hand I can enjoy it for the sake of the story. If you go deeper into it you find a lot of very personal stuff about how I view society but you can also take that away and ignore it if you want to. It’s the same with fantasy for me. What I’ve always wondered personally is… was Tolkien your first step into the world of fantasy? Hansi: That’s a good question! I was originally into horror and I really liked Stephen King. A guy in school recommended Tolkien to me and I wasn’t really sure about the guy so I figured… if he likes then it might be a little cheesy. That was my introduction to The Hobbit! I avoided that book for years. But then I found out my sister had it so one day I read it and I was blown away! I didn’t know about The Lord Of The Rings until my sisters friend told me about the book. I ended up getting it for Christmas! I was into science fiction. I was into many things. But this was the first time something struck me so hard. Obviously in science fiction you get analogies too, same with horror. Why do you prefer to put your music in a fantasy landscape as opposed to a sci-fi or horror one? Hansi: It’s the language of the music. If I listen to the music I really get the feeling that it has a certain narrative approach. So fantasy fits a little bit better. I try to bring in a little bit of horror and sci-fi because the stories attract me and when a song is harsher or futuristic feeling I can work with these elements. But for most of the parts I’m drawn back to fantasy. Obviously that’s a win win for me because I read a lot and I get to read stories and try and find if they are a perfect match for whatever I’m reading. I relate to it that way. There is no grand scheme. If it’s a perfect match – it stays like this. If I feel that the song changes or it doesn’t fit then I change the lyrics, but in most cases it is fantasy. Our music is larger than life so our storyboard fits very well. I could go completely into mythology and do that Wagner like thing with Tristan und Isolde and the Siegfried Saga and that would fit well. From time to time I touch on that. But that’s pretty close to fantasy anyway. It’s the same with bible stories. The good ones have the same narrative story approach. You can enjoy them even if you are not faithful. If I feel it fits best with the music then I do it. 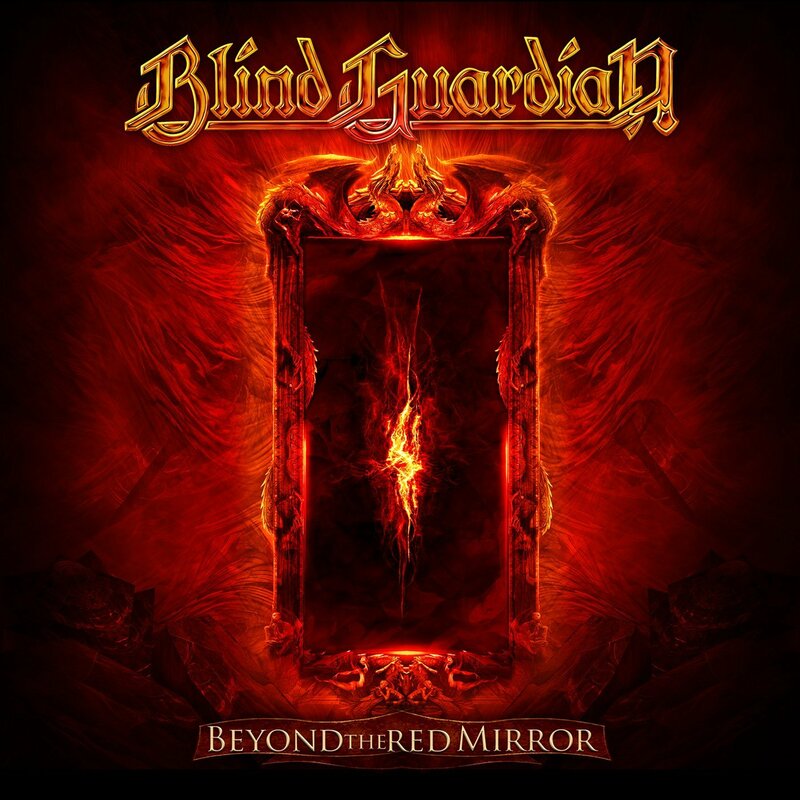 In rare cases it’s something abstract or reality based but that requires a very particular Blind Guardian song. You play bigger crowds all over the world – the smallest power metal audience is in North America. How does it feel to play to much smaller crowds? Hansi: It depends on the venue itself. Like if it’s a smaller one that is packed it’s such an intense feeling it creates the same feeling as a big show in Europe. But if it’s a fifteen hundred person venue and you draw five hundred people it’s hard to get the same vibe going. It’s a challenge, but we like to take up that challenge as well. It motivates us. I feel that we are something of a hybrid band. We can adjust to any size venue. When we play smaller venues we need to know how to get the same excitement out of people. Even if we are playing to two hundred people most of them are so dedicated and familiar with the stuff that we need to give our best because they would realize that we weren’t very quickly. You’re probably the most influential power metal band in the world. How does it feel to see a new generation of bands coming up that where derived largely from what you did? Hansi: I still have a problem with the term power metal. It is very difficult to say that everything we bring into our sound fits into power metal. I view us as a heavy metal band. When we started we viewed ourselves as speed metal band. But I do know that a lot of young bands are motivated by what we do. I just want them to feel free to try out whatever they want to try out. I feel that a lot of power metal these bands are stagnating. A lot of these bands do what they do well but that’s it. They don’t want to move on. In the 90s it was a little more diverse, people brought in classical elements and stuff and not every album felt like a logical consequence of the previous record. Our mission is to show that time passes quickly and you can always adjust. You do not have to deny yourself but you have to grow with the time. You always need to adjust. I’m happy with our status in the scene but I’m still hungry! Do you want to name any of those stagnating power metal bands for me? Hansi: (Laughter) Of course not! But it would be a long list! I remember in a discussion with Kai Hansen that he too had an issue with power metal. I think growing up we viewed ourselves as speed metal and power metal was more bands like Vicious Rumors or Metal Church. Then it changed into something which in the 90s would have been called True Metal like the Hammerfall stuff and then this ended up becoming power metal. Nowadays everything which is ‘traditional’ is being called power metal. What I call traditional is usually heavy metal but there’s a wide range of elements you could put in there. Obviously it’s just a definition, if someone calls us power metal of course I’m not angry and don’t feel offended. Maybe we should just keep it as it is because a majority of people view it as power metal even if we think of ourselves as heavy metal. Hansi: The emotions and dynamics. The freedom it gives me. It allows me to really have a good time. It’s connecting people. Not only metal but music in general. It is an important source of our humanity!